Richard Darryl Zanuck (December 13, 1934 – July 13, 2012) was an American film producer. His 1989 film Driving Miss Daisy won the Academy Award for Best Picture. Zanuck was also instrumental in launching the careers of directors Tim Burton and Steven Spielberg, who described Zanuck as a "director's producer" and "one of the most honorable and loyal men of our profession." Richard Darryl Zanuck was born in Los Angeles, to actress Virginia Fox and Darryl F. Zanuck, then head of production for 20th Century Fox. While studying at Stanford University, he began his career in the film industry working for the 20th Century Fox story department. In 1959, Zanuck had his first shot at producing with the film Compulsion. In the 1960s, Zanuck became the president of 20th Century Fox. One year of his tenure was chronicled by John Gregory Dunne in The Studio. After failures like 1967's Doctor Dolittle, he was fired by his father and joined Warner Bros. as Executive Vice President. In 1972, Zanuck joined with David Brown to form an independent production company called the Zanuck/Brown Company at Universal Pictures. The two men produced a pair of Steven Spielberg's early films, The Sugarland Express (1974) and Jaws (1975). They subsequently produced such box office hits as Cocoon (1985) and Driving Miss Daisy (1989) before dissolving their partnership in 1988. They were jointly awarded the Irving G. Thalberg Memorial Award by the Academy of Motion Picture Arts and Sciences in 1990. He worked with Tim Burton six times, producing Burton's adaptation of Planet of the Apes (2001), Big Fish (2003), Charlie and the Chocolate Factory (2005), Sweeney Todd: The Demon Barber of Fleet Street (2007), Alice in Wonderland (2010), and Dark Shadows (2012). He and Burton connected immediately, and Zanuck was Burton's producer of choice. In a May 2012 interview, Zanuck told Variety: "A producer should contribute from the very beginning until the very end, in all aspects. I'm there at the set every day, on every shot. Not that the director, particularly Tim [Burton], needs me, but just in case." Zanuck married three times. On January 14, 1958, he married Lili Charlene Gentle (b. March 4, 1940), an actress from Birmingham, Alabama, and second cousin of Tallulah Bankhead. The marriage, which produced two daughters, Virginia Lorraine Zanuck (born 1959) and Janet Beverly Zanuck (born 1960), was dissolved in 1968. On October 26, 1969, Zanuck and his protégé, actress Linda Harrison, together with his friend, producer Sy Bartlett, and Harrison's sister Kay, flew to Las Vegas, where Zanuck married Harrison on a balcony of the Sands Hotel. The marriage became difficult after Harrison failed to garner the role of the wife in Zanuck's production of Jaws. 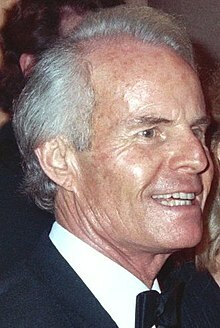 In mid-1977, as a result of his second wife's entanglement with a 65-year-old "guru", Vincentii Turriziani of the Risen Christ Foundation, and the alleged guru's claims and demands for money from Zanuck, he filed for divorce and was awarded custody of his two sons, Harrison Richard Zanuck (born 1971) and Dean Francis Zanuck (born 1972). In a 1985 interview, Zanuck said that career problems contributed to his two failed marriages. "Both girls were actresses, and neither one was well established," he said. As head of 20th Century Fox, "It was tough to try to be fair to the project and also try to help them in their careers. If I didn't give them the role, then I had to explain why they weren't right for it. It wasn't the major problem in the marriages, but it was an underlying source of discomfort." On September 23, 1978, Zanuck married his third wife, Lili Fini (born April 2, 1954, Leominster, Massachusetts), a former World Bank employee and Carnation Co. office manager, who helped him raise his sons from his second marriage, and would co-produce some of his most memorable films, including Cocoon (1985), Driving Miss Daisy (1989), and Reign of Fire (2002). When the Zanucks won the Best Picture Oscar in 1989 for Driving Miss Daisy, Lili Fini Zanuck was only the second woman in history to have earned an Oscar for Best Picture. In 1998, she directed an episode of the HBO miniseries From the Earth to the Moon, titled "We Have Cleared the Tower", and in 2000, Richard and Lili Fini Zanuck co-produced the 72nd Academy Awards ceremony. Zanuck died on July 13, 2012, of a heart attack at his home in Los Angeles. The Beverly Park home he had lived in until his death was sold for $20.1M in July 2012. On February 25, 2014, 20th Century Fox opened the Richard D. Zanuck Production Building at its Los Angeles studios. "Richard was a true giant of our industry for over five decades," Fox Chairman and CEO Jim Gianopulos said at the dedication ceremony. "He was family, and an integral part of our legacy. We couldn't find a building worthy of him, so we built one." The ceremony was attended by Zanuck's widow, Lili Fini Zanuck, his sons, Harrison and Dean, and four of his nine grandchildren, Jack, Darryl, Kyler, and Luke Zanuck. 1987 CBS Summer Playhouse Episode: "Barrington"
^ Eller, Claudia; Horn, John (July 13, 2012). "Filmmakers, producers remember Richard Zanuck". Los Angeles Times. Archived from the original on March 6, 2016. Retrieved December 31, 2018. ^ Dunne, John Gregory (1969). The Studio. New York: Farrar, Straus & Giroux. ISBN 0-375-70008-0. ^ "Obituary of Richard Zanuck". Telegraph. Telegraph Media Group Limited. July 16, 2012. Retrieved December 31, 2018. ^ a b Chagollan, Steve (July 13, 2012). "Oscar-winning producer Richard Zanuck dies at 77". Variety. Penske Business Media, LLC. Archived from the original on January 5, 2018. Retrieved December 31, 2018. ^ The Cumberland News, October 28, 1969, p. 3. ^ The Milwaukee Journal: Show Business, Part II, Monday October 27, 1969, p. 12. ^ Richard Warren Lewis, In Bracken's World Live Beautiful People, Including..., TV Guide, February 14, 1970, p. 28. ^ Stephen M. Silverman, The Fox That Got Away: The Last Days of the Zanuck Dynasty at Twentieth Century-Fox (L. Stuart 1988), p. 143. ^ Lakeland Ledger, Tipoff, July 26, 1977, p. 2. ^ The Montreal Gazette, November 18, 1974, p. 28. ^ Bob Thomas. Producing 'Cocoon' was a family affair, The Associated Press, Nashua Telegraph, June 27, 1985, p. 22. ^ "Richard and Lili Fini Zanuck to Produce 72nd Oscar Telecast" (Press release). Academy of Motion Picture Arts and Sciences. September 29, 1999. Retrieved July 16, 2008. ^ "Hollywood producer Richard Zanuck dies at 77". The Times of India. Bennett, Coleman & Co. Ltd. July 14, 2012. Archived from the original on January 26, 2013. Retrieved December 31, 2018. ^ "L.A. Home of Richard Zanuck Sells for $20.1 Million". Wall Street Journal. November 12, 2012. Retrieved December 31, 2018. ^ McClintock, Pamela (February 26, 2014). "Old Hollywood Turns Out for Richard D. Zanuck Building Dedication at Fox". The Hollywood Reporter. Retrieved December 31, 2018. ^ Johns, Nikara (February 26, 2014). "20th Century Fox Dedicates Production Building to Richard D. Zanuck". Variety. Penske Business Media, LLC. Retrieved December 31, 2018. ^ "Dedication of the Richard D. Zanuck Production Building at the Twentieth Century Fox Studios". Yahoo! Celebrity. Yahoo. February 26, 2014. Archived from the original on July 15, 2014. Retrieved December 31, 2018.